Wells Events & Reception Center provides not only space for your event, but also provides food & beverage options from a variety of menus. Catering menus provided by area restaurants and private caterers allow you menu choices that range from breakfast buffets, sandwich bars, heavy hors d'oeuvres and desserts to full buffet and plated dinners. Our events coordinator will assist you with choosing your menu from our approved caterer's list. If you prefer to provide your own food, additional charges will apply for use of our catering kitchen. 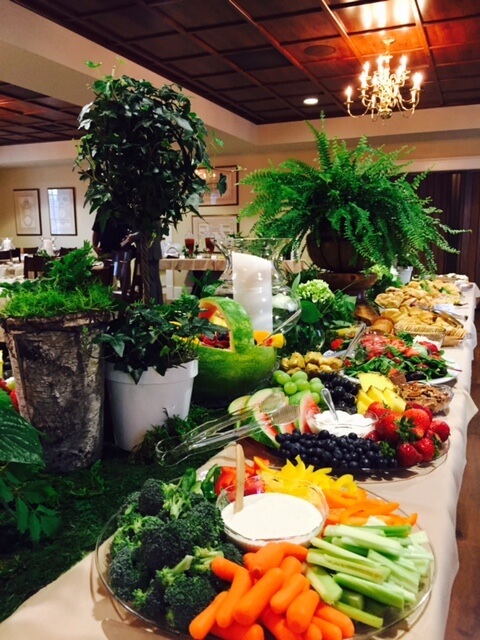 Our well-equipped catering kitchen is available for use with the rental of any of our event center rooms. With our North Carolina On-Premises ABC permit, we offer a variety of bar options that can include malt beverages, unfortified wine and/or mixed drinks. For events that require additional vendors, we will assist you in locating exactly what it is you need. From florists and music, to invitations and décor, we will assist you in customizing your special event.